Online fundraising platforms will have to demonstrate the same level of transparency as other organisations associated with charitable giving under changes to the Code of Fundraising Practice published today. 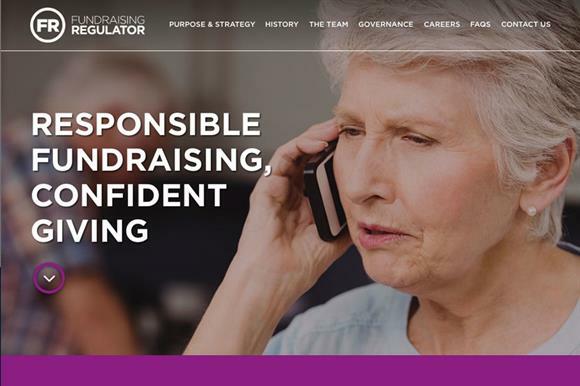 The Fundraising Regulator has also produced guidance to help the platforms stick to the code and detailing the responsibilities they have to ensure people are fully informed when giving money. It has also produced guidance for members of the public who use online platforms to raise money, which asks them to ensure they explain what any money raise will be used for, outline whether any fees or expenses will be deducted and consider how they will distribute it to beneficiaries. The guidance aimed at the online platforms themselves requires them to explain clearly their charging structures, in terms of how much of any donation will be given to the charity and any fees charities are paying for the platforms’ services. Platforms are also required to explain how donors can make complaints, what the policy is on refunds and how donations are protected against fraud. All of this information should be clearly signposted before the user commits to donate – for example, before they click a "donate" button – and a link to the page explaining fees should be clearly visible on the platform’s home page, the guidance says. The platforms have until the end of August to make any changes to their systems needed to meet the new requirements. Stephen Dunmore, chief executive of the regulator, said the guidance had come about as a result of questions posed after the generous public response to terrorist attacks and the Grenfell Tower fire last year. "In some cases, questions were raised about how the money raised through crowdfunding pages would reach the people that donors wanted to help when they had not named a charity to receive the donations," he said. "We have worked collaboratively with the online platforms to update our code and develop guidance to ensure fundraising through these channels is transparent and lawful. "We are confident that the updates to the code will continue to ensure public trust in online platforms and encourage donors to give confidently". Daniel Fluskey, head of policy and research at the Institute of Fundraising, said online fundraising platforms had made a huge difference to charity fundraising and gave the public a good and quick experience of supporting charities. "Ensuring that people have the right information when they make donations or set up fundraising pages is really important, so we are glad to see the Fundraising Regulator update the code and provide guidance to platforms on the information that should be provided," he said. "We hope that these changes will enable online fundraising to continue to grow and maintain confidence in giving through fundraising platforms."